I didn’t take nearly as many photographs in 2016 as I would have liked to. A promotion early in the year had rather a big impact on my Redheadwondering-photograph-taking-alter-ego …. Partly good …. I gave myself a present of a new Sony camera to celebrate …. Partly bad …. Work became so busy and intense that the time and energy I would have liked to devote to photography was sadly curtailed. I am now, thankfully, well-settled in to my new work role, so my New Year’s Resolution is to redress the recent work-life imbalance, and spend a lot more time having fun, and part of that will mean spending more time taking a LOT more photographs! I also hope to do more blogging, and I thought I would start off by “rounding off” the old year just gone, and share my year in photos, one for each month. January saw us start the year in travelling mood, with a trip to Sidmouth in Devon. It was chilly, but fun! Dark brooding skies abounded, yet we managed to take quite a few photos. I particularly enjoyed the colours of Devon, as the dullness of the days seemed to throw the red, earthy tones into sharp relief. For my first shot of the year, I’ve chosen an abstract rendering of a reflection I saw on Budleigh Salterton beach. Ah, February – the month that I was offered the promotion at work and, not being of a particularly patient bent, I decided that I couldn’t wait for the first pay cheque, and immediately bought myself a new camera to celebrate! (Thank you, Mastercard!!). At the first opportunity, we were off to Salisbury Plain. 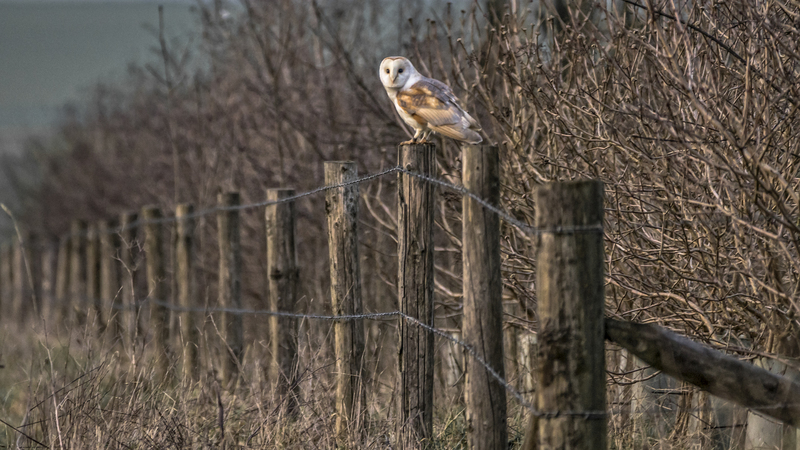 This delightful barn owl kindly posed on a fence post for me. One of the very enjoyable Flickr groups I am part of is “12 Months of the Same Image”, and this year, like the one before, I decided to use as my subject one of the lovely routes I can take to work. Consequently I took lots and lots of shots of this road to Rudge. I didn’t actually use this one for the March entry to the group, but I rather liked the other-worldly feel of this Kodak Ektachrome 100VS rendering from DxO Filmpack. In April we took a trip to Devon, but this time we ventured to the north coast, rather than to one of our usual, more southerly haunts. 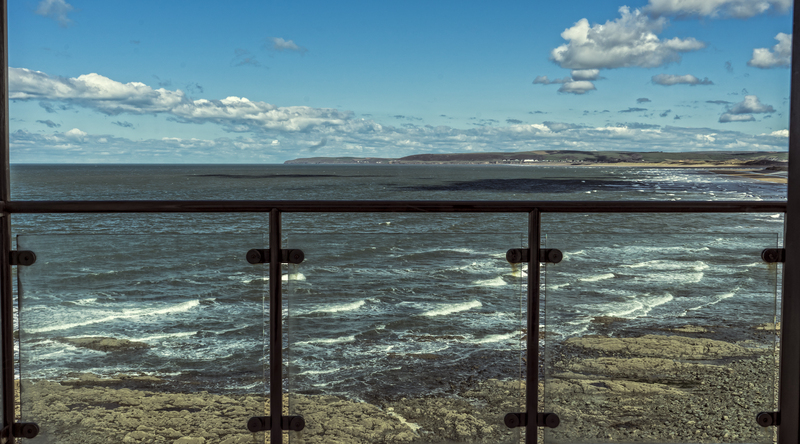 After a trip to Woolacombe a while back, I became enchanted by the name of a nearby town – Westward Ho! (yes! It really DOES have an exclamation mark!!). We knew we’d have to visit there one day, and in April we did just that. We had the most glorious view from our apartment, which could not have been more of a “beach-front property” if it tried!! This is the view from the bedroom window. It was a fine sight to wake up to! Of the two of us, my husband is the one who most often photographs birds, as we wander around Salisbury Plain. He is so much better than I am at manual focusing quickly enough to catch the many lovely birds we see in our travels. In May this year, however, I too seemed to capture many of our feathered natives and visitors. (Note that most of them very obligingly sat on fences, or stood still in fields, long enough for me to get them in focus!). I managed to capture several swallows at rest (and lots of swallow-shaped blurs in flight). There were yellowhammers and goldfinches galore. I even had the good fortune to see a couple of great bustards and got close enough to get photos of stone-curlews, two species which are extremely rare. The bird I’ve chosen to share for my May picture though is very common: a corn bunting. Common it may be, but that does not detract from its loveliness. It’s a jaunty kind of bird, whose jangling song is an absolute delight to hear. June was the month of wildflowers on Salisbury Plain. All around us, the Winter-etiolated grasses were replaced with greens of every complexion, and the flowers began to carpet the landscape. Blues and pinks, purples and yellows, reds and whites. There was one particular day in the middle of the month that was my “Wildflower Day”! I simply couldn’t stop photographing the flowers, and for a change (for me) the Sigma 28mm miniwide manual lens stayed on the camera, and macro after macro was taken. There are many flower shots on my Flickr photostream for June, but what is uploaded there is but a fraction of the hundreds of photos I took that day. 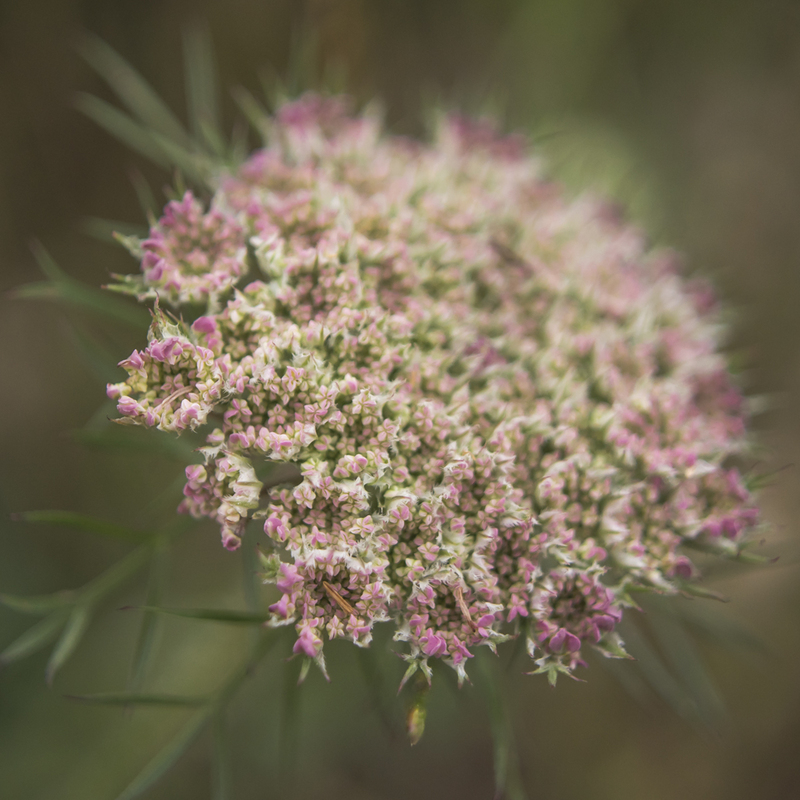 The Umbelliferae in particular captured my eye and my imagination. We tend not to go on our travels in the Summer months, preferring our “holidays” to be quiet affairs, not interrupted by other tourists (or children on their school hols). 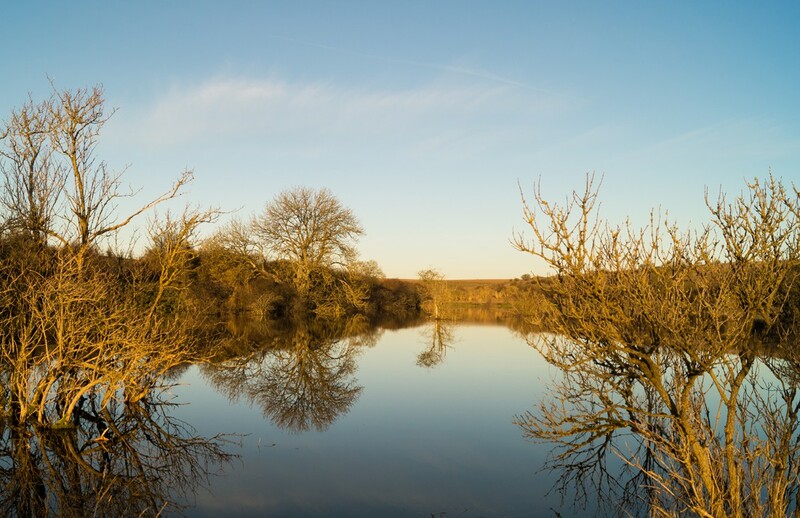 July and August are usually the preserve of Days Out Locally, rather than Nights Away Further Afield. This July though, we couldn’t resist a sneaky trip to Dorset, just for a night, just for a two-day blast of seaside and sunshine. On our journey down to the coast, we wandered the roads of the New Forest. We stopped now and again to take photos, of course, and on one of these occasions, I put on our Sigma 50mm lens, because the heather and flowers looked so enticing. 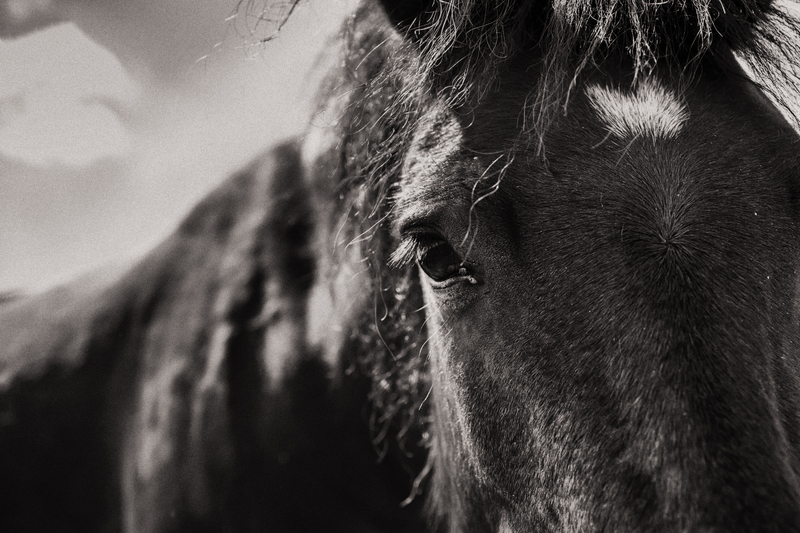 One of my favourite macros ended up being this close-up of one of the New Forest Ponies. These docile creatures are so accustomed to people getting up close and personal, that they barely bat an eye. Although this year we didn’t have the hottest of Summers, come August, the world was turning golden, as fields of barley and wheat stretched all around, and mellow sunsets made the world feel warm and welcoming. 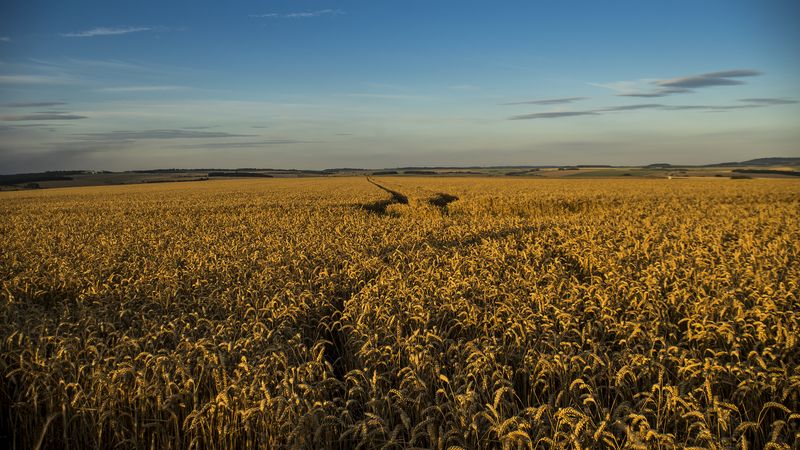 One hazy evening on Salisbury Plain, my eyes were drawn to the lines in the barley, as they snaked off through the gold to the blue beyond. This is our anniversary month and we like to mark it with trip back to Devon. This time we stayed in Brixham, overlooking the sea. We were blessed with fine weather and there was no shortage of photography, nor interesting subjects. I even had the opportunity to do some experimenting with night photography, which was great fun. 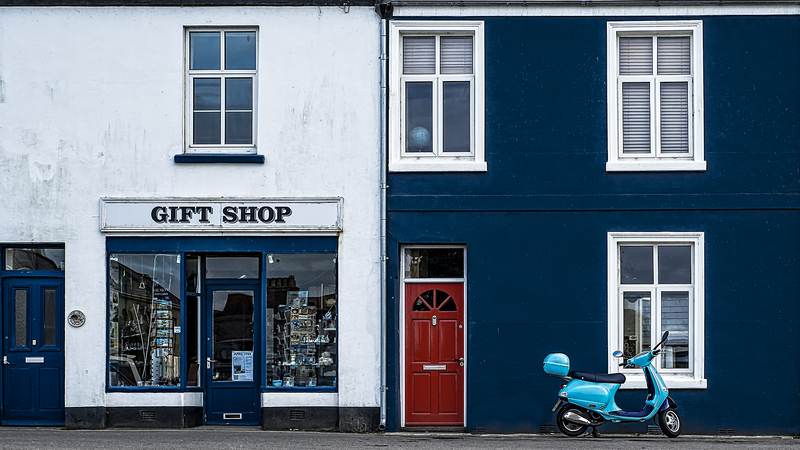 One of my personal favourites from this particular trip was a shot I took in Torcross, of the gift shop and the house next door. I couldn’t have set up a more pleasing shot if I’d tried. The combination of colours and shapes was, well, a gift. By October, I was really beginning to notice how little photography I was managing to squeeze in around the long days at work. I did manage to get out a couple of times to take advantage of 2016’s glorious Autumn colours. There’s another blog post all about Autumn in Wiltshire this year, if you care to read it! For my October picture though, even though it is of trees in all their Autumn glory, I’ve decided to share a black and white version. 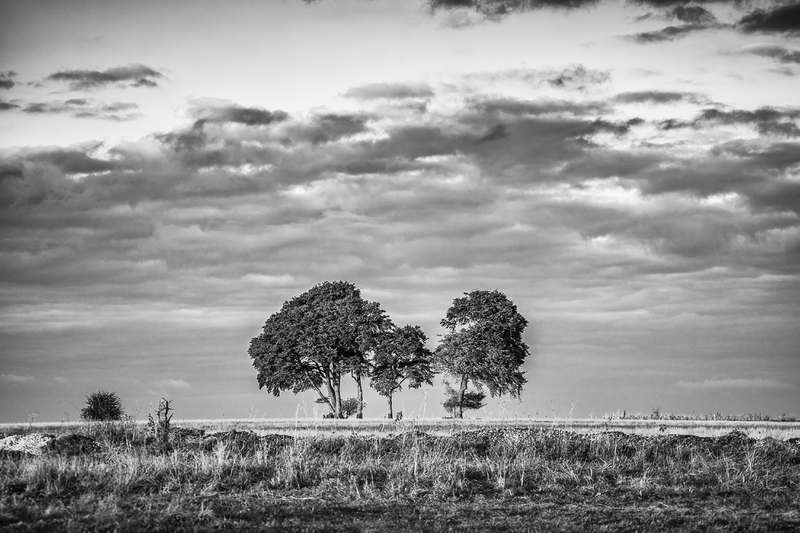 This little copse is one of the Charlton Clumps, on the northern edge of Salisbury Plain, and it’s one of our favourite subjects. There is something extremely pleasing about this little stand of trees – their shapes and symmetry provide no end of inspiration. And so we come to our final trip of the year, this time to Shropshire. Thirty years ago, my husband took me to Shropshire to visit his oldest friend. In 2016, we returned to this very pretty county, and spent a wonderful weekend by the banks of the River Clun. We saw our first snow of the year up on the Long Mynd, a wild and desolate place of such beauty, that I don’t want to wait another thirty years to visit it again. 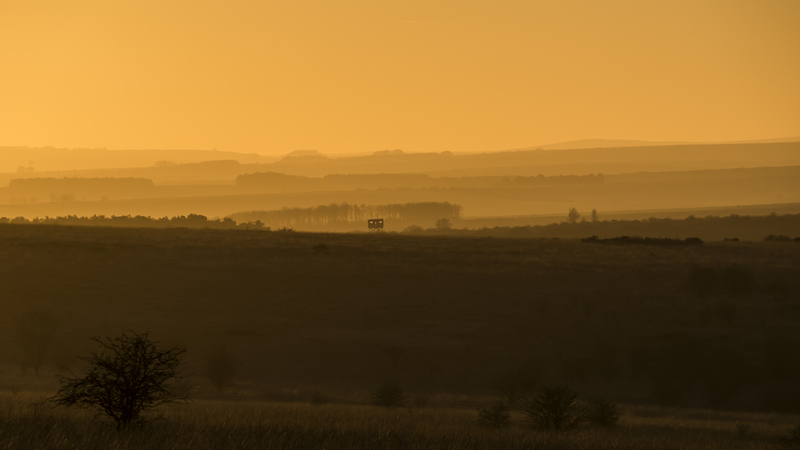 My final shot of the year is, quite aptly I feel, a sunset on Salisbury Plain. Happy New Year! Here’s to health and happiness and lots more photography in 2017!